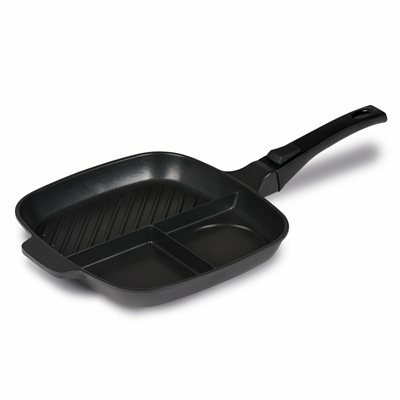 A new frying pan from Kampa. This is a great new addition to the Kampa cookware range. The three sections keep the food apart so breakfast can be cooked all together.This frying pan is made from cast aluminium which makes it strong. The inside is coated with a non stick finish . The detachable handle means it is compact to transport and store.